The Vietnamese American Arts and Letters Association (VAALA) is proud to announce Viet Film Fest 2018 is coming back for its 10th edition on October 12-14, 2018 at AMC ORANGE 30. The current festival continues the tradition of featuring Vietnamese filmmakers and cinematic works about the Vietnamese experience from all over the world. Among the 61 films submitted, 30 (13 features and 17 short films) were selected to screen at this year’s film festival. Use code CAPE18 for $2 off tickets! An Update from our CNWF Alums! One of the industry’s premier writing programs, the CAPE New Writers Fellowship discovers and nurtures emerging writers launching their careers in television and film. This unique, immersive Fellowship arms each participant with the practical and business knowledge they need to succeed as a professional writer in the entertainment industry. 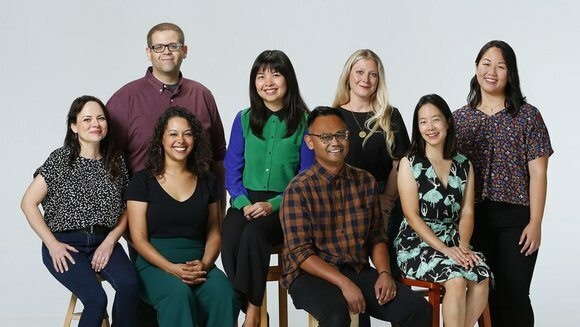 Joanne Lee (’18) and Tiffany Shaw Ho (’15) have been selected for the 2018-2019 class of NBC’s Writers on the Verge! Stefanie Woodburn (’18) and Vidhya Iyer (’18) were selected to take part of Ron Howard and Brian Grazer’s Imagine Impact 1. Allyssa Lee (’13) is currently staffed on The CW’s CHARMED. Brian Shin (’17) is a staff writer on ABC’s THE GOOD DOCTOR. Chris Wu (’14) is a staff writer on STARZ’ new John Wick series THE CONTINENTAL. Eileen Shim (’17) is a staff writer on Hulu’s LIGHT AS A FEATHER, which premieres October 12. Franklin jin Rho (’13) and Tania Lotia (’13) are staffed on DC’s SWAMP THING. Iram Parveen Bilal (’18) wrapped production on her feature film FORBIDDEN STEPS! Jeremy Hsu (’16) is a writer on JIMMY KIMMEL LIVE! Julie Wong (’15) has been promoted to story editor on Season 15 of GREY’S ANATOMY. Helen Shang (’14) is a co-producer on Season 3 of Netflix’s 13 REASONS WHY. Teresa Huang (’15) is staffed on CBS’ SEAL TEAM. Submissions for the 2019 CAPE New Writers Fellowship open December 1, 2018 through January 7, 2019. We ask for original pilot and feature scripts. CAPE and Warner Bros. are excited to present the 2018 Feature Film Panel: NEW AMERICAN VOICES. Hear directly from some of American cinema’s most exciting and interesting writer-directors in this panel moderated by producer Dan Lin (ALADDIN, THE LEGO MOVIE, SHERLOCK HOLMES). Limited seating for this intimate event – Buy your tickets now! Save yourself the trouble and use LYFT! Use promo code CAPERR for 25% off up to 2 rides to and from Rideback Ranch. Valid only on 10/17/18 from 5pm-midnight. Johnny Walker – Please drink responsibly. Meet the 2018 CAPE Leaders Fellows! CAPE launches its second annual CAPE Leaders Fellowship to equip the next generation of creative executives and talent representatives with the skills and professional network to break into the VP ranks and beyond. Modeled after CAPE’s highly-successful New Writers Fellowship, this new signature program includes evening sessions, intimate breakfasts, networking mixers, and one-on-one mentoring sessions with high-level industry executives. JOHNNY CHIOU currently serves as Manager of Development at 3AD, actor/producer Daniel Dae Kim’s production company, which currently produces THE GOOD DOCTOR on ABC. Prior to this, he was Development Coordinator at Universal Cable Productions (MR. ROBOT, 12 MONKEYS, GIRLFRIENDS’ GUIDE TO DIVORCE). Johnny got his start as an assistant in the Television Department at Creative Artists Agency (CAA). Johnny is a graduate of UC Berkeley where he received a Bachelor’s degree in Business Administration. SCOTT SAKAMOTO is a Production Supervisor at Walt Disney Animation Studios, where his passion and experience have centered around the Story Department. In his current position, Scott is helping to oversee the creative process on a yet to be announced animated feature. His other recent projects at Disney have included the Oscar®-nominated feature MOANA and the upcoming theatrical sequel to WRECK-IT RALPH, RALPH BREAKS THE INTERNET. Previously, Scott was involved in the front-end production departments at DreamWorks Animation, where he worked on projects such as HOW TO TRAIN YOUR DRAGON, MR. PEABODY & SHERMAN, and MONSTERS VS. ALIENS. Scott began his career in entertainment as a Development Intern at Spyglass Entertainment and then as an assistant in the Feature Literary Department at The Gersh Agency. Scott graduated from UCLA with a B.A. in Communication Studies. SANJANA SEELAM was born in India, raised in the Bay Area and Phoenix. Having studied pre-medicine, graduating with a BS from UCLA, she made the natural transition to a career in entertainment. Currently a Manager of Development at BuzzFeed Studios, she develops and produces digital, linear and feature content across all networks and platforms. Prior to BuzzFeed, Sanjana worked in Development at 20th Century Fox TV as well as 3 Arts Entertainment. Off the clock, Sanjana loves hikes with her insta-perfect dog, buffalo wings, and marathoning weeks-old episodes of JEOPARDY! KENNY TSAI joined Universal Television in 2012 and currently holds the title of Director, Current Programming. He is responsible for overseeing 7 Universal Television-produced current dramas and comedies, including MASTER OF NONE for Netflix, WILL & GRACE and GOOD GIRLS for NBC and the upcoming Apple series AMAZING STORIES with Amblin. He was previously an executive at Blumhouse Television, where he helped manage their first-look deal with UCP and Universal Television, and got his start in the industry as the showrunner’s assistant on HBO’s Emmy-award winning series BOARDWALK EMPIRE. A graduate of NYU’s Tisch School of the Arts and son of Taiwanese-American immigrants, Kenny has been a passionate fan of television since childhood. He resides in Los Angeles and often travels out for noodles and dumplings. JON WU is Director of Production at 20th Century Fox, where he oversees the development, production, and acquisition of feature films. While at Fox, he has been an executive on 16 go pictures, including THE GREATEST SHOWMAN, MURDER ON THE ORIENT EXPRESS, WAR FOR THE PLANET OF THE APES, DEADPOOL 2, and the upcoming BOHEMIAN RHAPSODY. Previously, Jon worked at Sony Pictures Television and in the motion picture literary and television talent departments at WME Entertainment. He began his career in the agency’s mailroom. Jon received his M.F.A. from the Peter Stark Producing Program at University of Southern California and his B.A. in African American Studies at Yale University. KATHARINE WU is a half-Taiwanese television executive from Long Beach, California. She is currently the Director of Development at Appletree Pictures, where she has worked with Shiri Appleby to build a scripted slate for the company’s overall deal with A+E Studios. Appletree is focused on female-driven series and partnering with fresh and diverse voices. Previously, Katharine spent several years working in scripted programming at A&E, where she honed her development skills and covered the last two seasons of BATES MOTEL. Katharine earned a BA in Cinema-Television Production from USC. 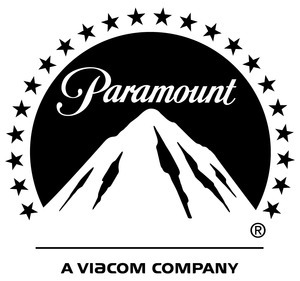 Led by top industry executives and agents, the Fellowship is the brainchild of CAPE Board Chair Kevin Iwashina (Agent, Endeavor Content), who serves as co-chair with CAPE Board Members Albert Cheng (COO and Co-Head of Television, Amazon Studios) and Peter McHugh (Manager, The Gotham Group). Fellowship partners include Walden Media, Warner Bros., Paramount Pictures, Endeavor, Fox Searchlight, Justine Wines and Fuji Water. You’re Invited to the CAPE/Pearl Studio presents THE POWER OF REPRESENTATION IN STORYTELLING! Join CAPE (Coalition of Asian Pacifics in Entertainment) and Pearl Studio (fka Oriental DreamWorks) for THE POWER OF REPRESENTATION IN STORYTELLING, a conversation with Asian American creative voices! PARKING: Complimentary valet parking courtesy of Netflix. Instructions provided with reservation confirmation. Ticket sales end March 19, 2018 at 12:00pm or when sold out. DUE TO SECURITY POLICIES, TICKETS WILL NOT BE SOLD AT THE DOOR. PLEASE DO NOT ARRIVE ON THE NETFLIX LOT WITHOUT HAVING A PURCHASED AND CONFIRMED TICKET. Join CAPE at Kollaboration Empower Creative Leadership Conference on November 4, 2017. Our panel, PRODUCING SOCIAL CHANGE: A CONVERSATION WITH SHOWRUNNERS, explores the role of the showrunner and how they create change in front of and behind the camera. Use code EMPOWERCAPE for a 15% discount! Come laugh with some of the funniest Asian American comics. Learn directly from some of the Asian American community’s most inspirational creative professionals. Discover how to make your dreams of working in arts & entertainment a reality. Celebrate Asian American talents and achievements and find out who is this year’s Kollaboration STAR champion! For more information and full schedule, visit www.empower.kollaboration.org. As a part of this year’s CAPE New Writers Fellowship, Oriental DreamWorks selected 3 CAPE Fellows for their Artist-In-Residence Program in Shanghai, China. Johnny Ngo (Feature Film Fellow, 2017) talks about his experience. Oriental DreamWork’s Artist-In-Residence Program was simply priceless. From the moment wearrived to our last day at the office, we never stopped feeling welcomed. The ODW staff, at every level, was supportive and collaborative. There was no micromanaging. They trusted us to be artists, because they’re artists themselves. They respected our own individual creative process. They even went out of their way to nurture it. They took us on tours around Shanghai to inspire us and made sure we tasted the culture through various cuisines that were carefully curated. There’s no question I’ve expanded my mind… and gained some extra pounds (of culture) in the process. I’ve never worked in animation. ODW’s Artist-In-Residence Program challenged me to develop a new lens for storytelling. Justinian and Susan, the two creative executives I was paired with, constantly pushed me to be more visual and to think outside the box. “Why does this have to be animated?” “Can we convey that concept or emotion more visually?” “How do we keep elements simple yet satisfying?” One of my favorite moments came on the second day when we met with the visual team and our assigned visual artist. We were given a project to tackle by this point. As I described my vision – a single image that captures the spirit of the movie, the visual artists would say, “That’s great Johnny, but how are we suppose to FEEL at this point in the story?” I loved that. Their instincts kept me grounded. I’m proud of the work I accomplished with ODW. I’m exceptionally proud of my visual artist for capturing my vision and elevating it to epic proportions. I can go on and on about my experience with ODW and their Artist-In-Residence Program, but I’ll just summarize it in two words: rewarding and unforgettable. Thanks again, ODW and CAPE for this amazing opportunity. My creative compass will never be the same! Grab Your Early Bird Tickets to MAKE MAGIC WITH DAVID KWONG: A BENEFIT FOR CAPE! Join us for a mind-blowing evening with DAVID KWONG, the magician and puzzle master behind NOW YOU SEE ME and ABC’s DECEPTION, in a special benefit performance for CAPE! A veteran “cruciverbalist” (crossword puzzle constructor), Kwong routinely creates puzzles for the New York Times, Los Angeles Times, Wall Street Journal and other national publications. Kwong is the puzzle and secret code consultant for the hit NBC show BLINDSPOT. He was the head magic consultant on the 2013 worldwide hit film NOW YOU SEE ME. Other films Kwong and his Misdirectors Guild have worked on include THE IMITATION GAME, ANT-MAN, MISSION IMPOSSIBLE: ROGUE NATION, THE MAGNIFICENT 7.